Just because bigger franchises perform well in Western territories doesn’t mean they’re comparably successful in every market worldwide. In recent years, Assassin’s Creed has found its stride with niche audiences in Japan. Ubisoft’s marketing has been geared towards ensuring such growth continues. 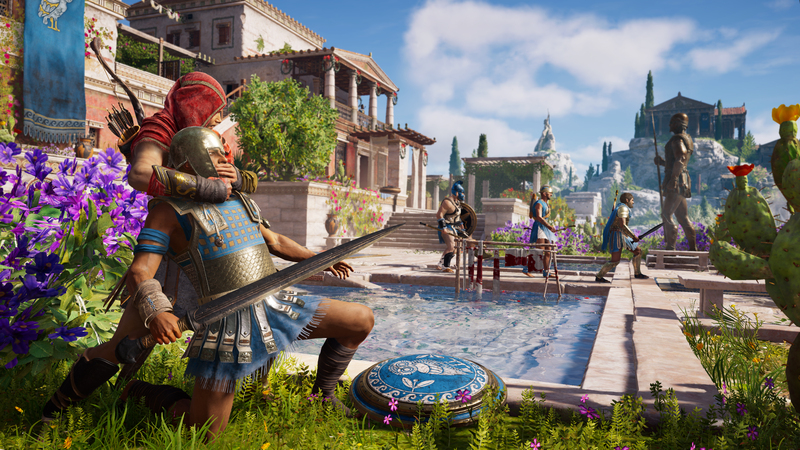 According to Ubisoft Asia’s General Manager, Steve Miller, those efforts are likely to pay off exponentially once Assassin’s Creed Odyssey arrives. During an interview with DualShockers, Miller said Odyssey’s designation as an RPG will appeal to a wider audience in Japan. Assassin’s Creed has a core following in Japan, and it is one of the most successful Western series in Japan. There are many fans who like the historical settings, the fashion, detail in the buildings, and also they appreciate the full localization that goes into the Japanese version. And this time we have a playable heroine as well as a playable hero, so I think Odyssey will appeal to the core fan base. At the same time, Odyssey is more RPG-like than any previous Assassin’s Creed, so we think the appeal of this game will reach beyond the core fans and will be very interesting for RPG fans, which we know there are many of in Japan. Together with the ever-increasing installed base of the various consoles, we think Odyssey has a good chance of being the most successful Assassin’s Creed title ever in Japan. Ubisoft still has room to grow in Japan as well as in other countries in this region. It makes sense for Ubisoft to invest in all the markets of Asia to increase market share and to establish our brands. I don’t think we could be as successful as we are if we just relied on western marketing campaigns and strategies to push our products. Japan, and all of Asia, has different marketing channels, different marketing calendars, different ways of presenting the games to the consumers, and of course the explosion of social media means you have to be present locally to talk to your fans and your influencers. It is also extremely important to us to listen to our local consumers and to try to voice their concerns to the studios and developers who are making the games. All of this requires a local PR and Marketing team, and a commitment to the local markets. Whether or not Ubisoft’s plans will be successful remains to be seen. However, other 2018 releases have experienced surprisingly strong support in Japan. These titles include PlayStation 4 exclusives, such as Detroit: Become Human and Marvel’s Spider-Man. Perhaps Assassin’s Creed Odyssey’s place on Japanese sales charts will be similarly remarkable. Assassin’s Creed Odyssey hits store shelves on October 5, 2018.